Today we are going to talk about the things most people never discuss… plumbing. More specifically, toilets and drains. These two things are constant sources of issue in our house, especially with two young children and enough postpartum hair loss to put a grizzly bear to shame. Add in that my children seem to have a never ending fascination with putting things in toilets and the never-ending toothpaste and hair balls that come out of our drains–I’m always looking for a quick fix to get everything unclogged and up and running again. 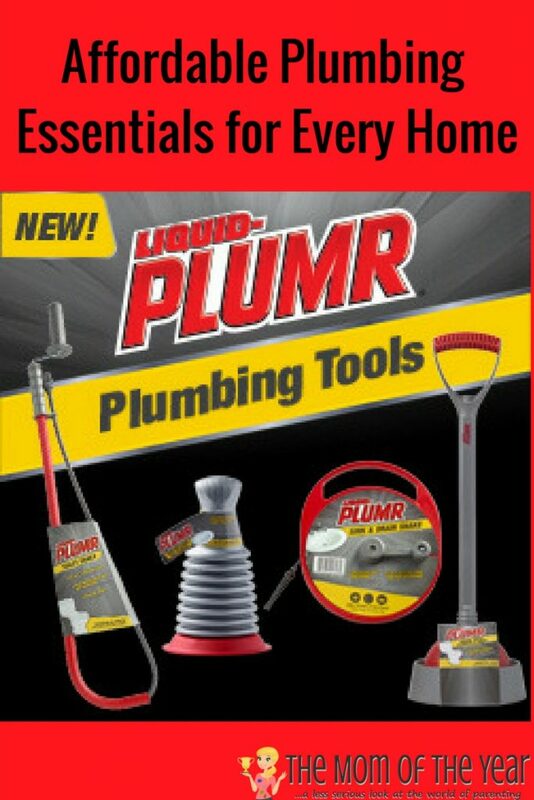 So when I saw Liquid-Plumr’s new plumbing tools for sale at Lowes, I was delighted. The tools are so professional and affordable that they are guaranteed to save me money in plumbing service calls down the road. Sweet! 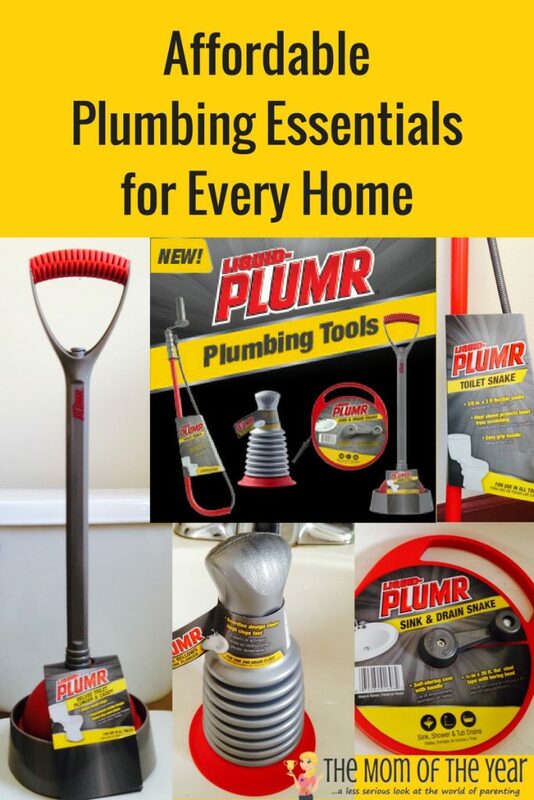 Check them out, friends–these four plumbing tools by Liquid-Plumr are the only essential plumbing tools you household needs. Let’s start with drains. As I mentioned before, most moms have major postpartum hair loss issues, especially when showering. As if our children haven’t changed our bodies enough, apparently loosing half your head of hair is also on the list. I have tried everything in the books, a drain guard (which gets so covered with hair I basically am in a wading pool while showering), drain liquid to pour down (a 50% shot it works), and brushing my hair well before the shower (waste of time). Liquid-Plumr has this fantastic Sink and Drain Snake that reaches up to 20 feet long! The tip has a boring head that can easy push and grab any clog you have. My favorite part is that it has a great self storing case that is so compact and easy to put under our sink. Friends, it works so well, I can now quickly (seriously, in under a minute) and easily unclog the hair out of my shower and don’t have to try so many other pointless methods. One of my other favorite features that Liquid-Plumr released is a drain plunger. Look at this photo and tell me how smart this is! I cannot be the only one that used to attempt to use a toilet plunger in my sink and consistently am irritated at the faucet being in the way. 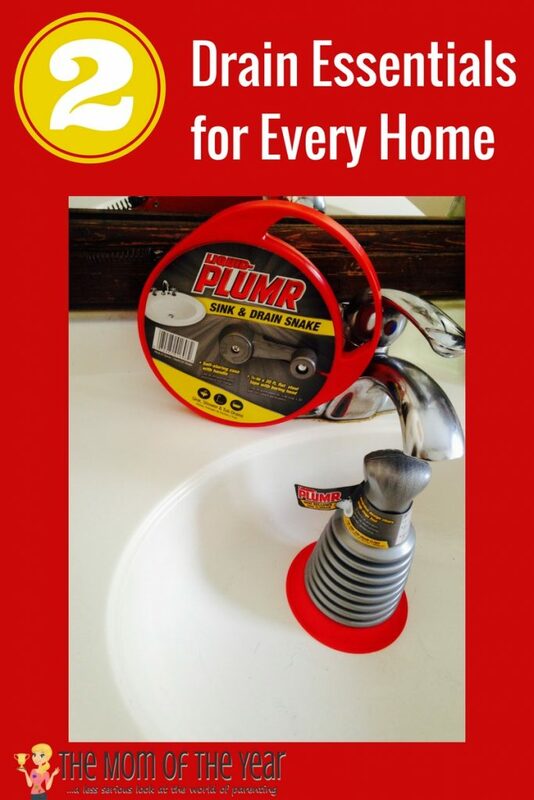 The Liquid-Plumr Mini Bellows Sink Plunger is the perfect size for any sink drain and only costs $3 at Lowes. Now that we have established what works for keeping drains clear, let’s move onto toilets. With two children our toilets have seen their fair share of clogs, from excessive toilet paper to entire toilet paper rolls being the most popular. Just the other day, my daughter decided to put playdoh inside the toilet, along with the container, and my son proceeded to flush. After cursing myself for not investigating what was happening during the five minutes of silence I enjoyed, I went into the bathroom and knew exactly what would help me with damage control. Normally circumstances like this require a panicked call to a plumber but since Liquid-Plumr has fantastic tools for situations like this, I knew just what to use. Enter the Liquid-Plumr Toilet Snake. This snake is well made, sturdy, and incredibly easy to use. It is 3 feet long and perfect for any clog, it even has a vinyl sleeve so your toilet won’t scratch. It took me less time to unclog the playdoh then it took my kids to flush it down! In the $10 price range at Lowes it is an essential item to have in your house for any clog. Of course, no bathroom would be complete without plungers. Living with kids though, you need a good heavy duty one like the Liquid-Plumr Deluxe Toilet Plunger. Not only is it a great strong design, but it has its own caddy so that you can store it after use on its own caddy instead of your clean bathroom floor. Since this is such an essential item for all homes, Liquid-Plumr is giving one of our readers a chance to win one! As long as you are 18 or older and live in the continental United States, you are eligible to enter in the Rafflecopter below. But no fretting it you don’t win–all four of these essential plumbing items by Liquid-Plumr are sold at Lowes for less than $12! Go grab these four essential plumbing tools and get your house in order for whatever life throws your way! Definitely going to have to check these plumbing tools out at my local Lowes for my family and can’t thank you enough for sharing more about them here with us. So happy that you’ll check them out! The only improvement i could suggest: A portable version I could wear on a utility belt! Haha! Now that is a great invention! I think I need this! Anything to make cleaning and, well, plunging, easier! The plunger works so well! Plumbing is something I know a tad too much of too, or at least plumbing problems. My dear sweet Lizzy is very talented at clogging toilets, mine, my parents, school. We are very proud! This would be a very handy kit to have on hand!! Thanks for the 411. Haha! You will need to check out the whole line then! Wow, that’s a super deluxe plunger! I love the caddy for it too! 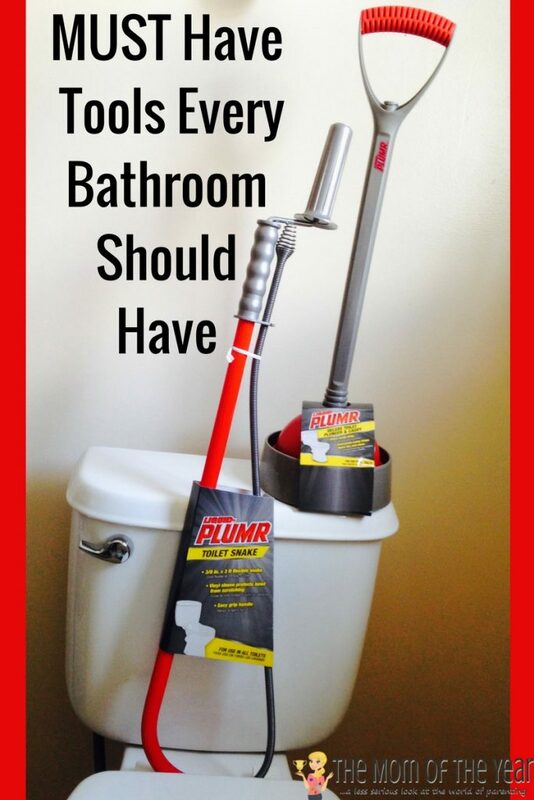 You can never have enough high quality plungers in the house! It is difficult! This one works so well! Lindsay, I can definitely see why any plumber would need to have a plunger on hand. I’ve recently noticed that our water pressure has been steadily decreasing. I definitely think that I should find a plumbing service to take care of it before it gets to be severe. For sure! Best of luck in your search! I agree, just the tools to invest in. I haven’t used these tools yet, but they are perfect for all my plumbing needs. Plus they are so affordable. I insist every household must invest in these. Yes, even if I never have to use them (I have multiple times) they are inexpensive enough to be worth having at home! Thanks for suggesting getting a drain snake that has a boring head that can get through any clog. I’d imagine that it would be important for homeowners to have these, but many professionals need to get plumbing supplies too. A drain snake would probably come in handy to a plumber. Thanks for suggesting getting a drain snake that has a boring head that can get through any clog. I agree, just the tools to invest in. I haven’t used these tools yet, but they are perfect for all my plumbing needs. Plus they are so affordable. Thanks for sharing this! Yes, they work perfectly for clogs! Thank you! Thank you for suggesting we keep these types of tools in our home in case something happens. These seem like great ideas for small things. My family has been needing to hire a plumber for the past week and I was wanting to make sure they had the right tools. I would hope the company we hire does their research and gets the best-manufactured tools possible. They really are perfect for any plumbing need! Totally agree with the tools you listed above. They really are of great help. Also, you suggesting getting a drain snake is the highlight for me, it is so useful since it works perfectly for the clogs. Thanks for sharing this vital informations. The drain snake has saved my toilet and shower so many times! We have a household of girls and I feel like they send a lot of their hair down the drain as well. It is something we have tried many different solutions. Maybe a drain snake like you mention could help our situation. It sure will! Hair is such a problem! I thought it was interesting that having a baby could cause a mother to lose lots of hair, which in turn can clog the drain. OIt’s so nice that a sink and snake drain can help you get those clogs out. While I haven’t had a baby, I have a lot of hair and my tub has been draining slowly. I’ll definitely look for the great plumbing tools mentioned in this article, so thanks for sharing this.